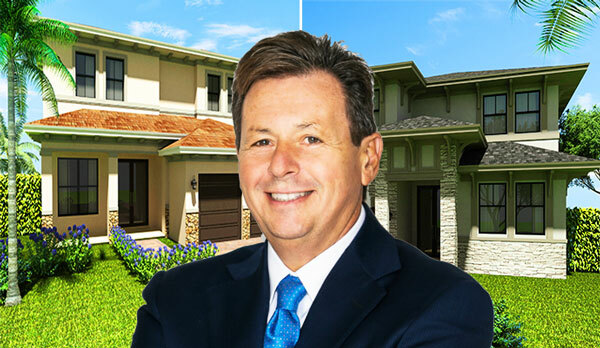 Sergio Pino’s Century Homebuilders Group just paid $8.85 million for a large vacant lot west of Tamiami and is about to break ground on Century Lakes III, a planned single-family home community, The Real Deal has learned. Century Lakes III will be built on a 12.5-acre lot south of Coral Way and just east of Southwest 152nd Avenue. The land traded for about $16 per square foot. Pino said the company plans to break ground in the beginning of April. Records show Cypress Lake Homestar LLC, led by Jose Fernandez, sold the property. Fernandez paid $4.3 million for the three-parcel lot in August. The site now traded with rights to build up to 59 single-family homes, Pino said. Records show Pino’s company scored an $11.6 million construction loan from Apollo Bank. Home prices will range from $439,000 to $527,000, with one- and two-story houses spanning from 2,500 square feet to 4,100 square feet. About 40 percent of the homes will be facing a lake, Pino said. Century Lakes III is set to be completed by December 2019. Pino said he hopes to complete sales by the end of the year. Century is also developing Midtown Doral, a mixed-use project that will include more than 1,500 condos, as well as retail space and offices. In October, Pino announced that he would shrink the size of some of the condos and turn them into micro units – a move he said is geared to attract more local buyers.